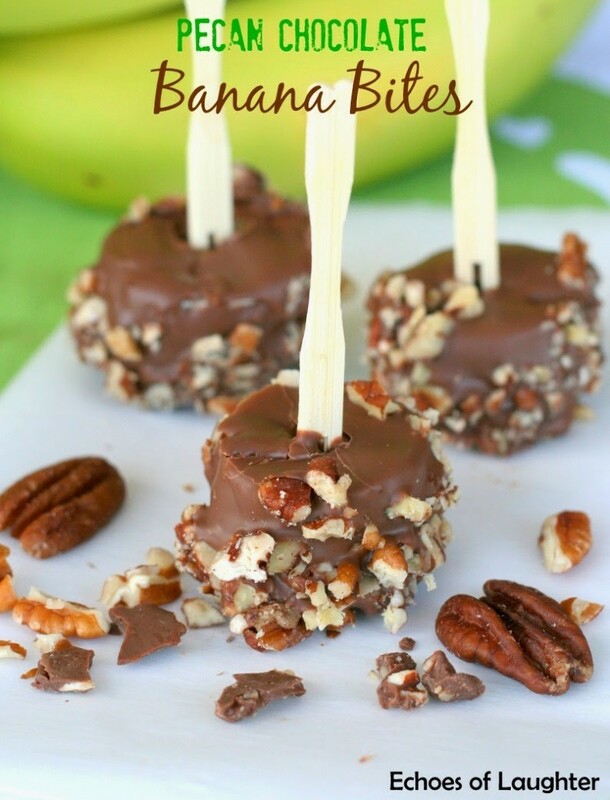 I love chocolate and banana together! They just go together…you know? You may remember a few weeks ago, I made these uber moist and delicious Banana Chocolate Chip Muffins which are so good! And these little bites are great too, but add the delicious crunch of pecans and they are to-the-moon and back dang awesome! With the addition of pecans, they taste as luxurious as a chocolate bar, but without all the fat & calories. I love these because not only are they tasty, but they are a small dessert or treat that doesn’t have refined sugar or gluten. They are perfect for serving to kids or at a party. They require no baking, so are a nice hot weather dessert as well. And simple to make…and I love simple! The recipe is super easy…so easy that even kids can make ’em. Heck, you could even add a bunch of different toppings like coconut or craisins and go-to-town crazy with different flavors and textures. Chocolate, melted. You can use whatever chocolate you like…organic, dark, milk, etc. 1. 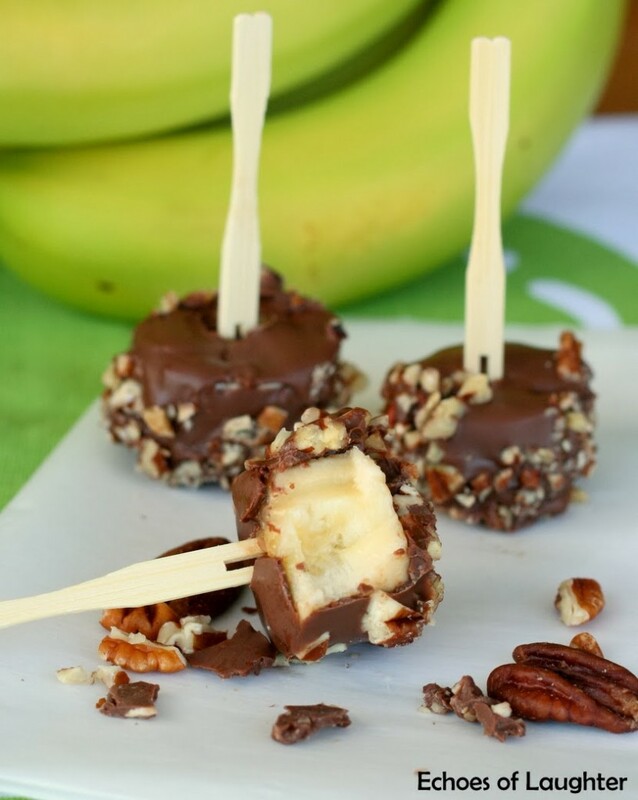 Peel and cut bananas into 1 1/2 inch chunks. 2. Spear with toothpicks or skewers. 3. Dip in melted chocolate. 5. Eat. Can be store in the fridge. And look at the pecan-chocolate-banana deliciousness. You will need to hide these if you want some for later….in a super secret location. Looking for more PECAN deliciousness? Looks amazing! I bet my kids would love these. I love that they are no-bake too. Mmmm these look SO good! I know these would last about 5 seconds in our house…YUM! 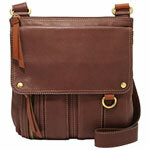 So simple and so cute!! Oh my, these are right up my alley! Pinning! Amazing recipe! 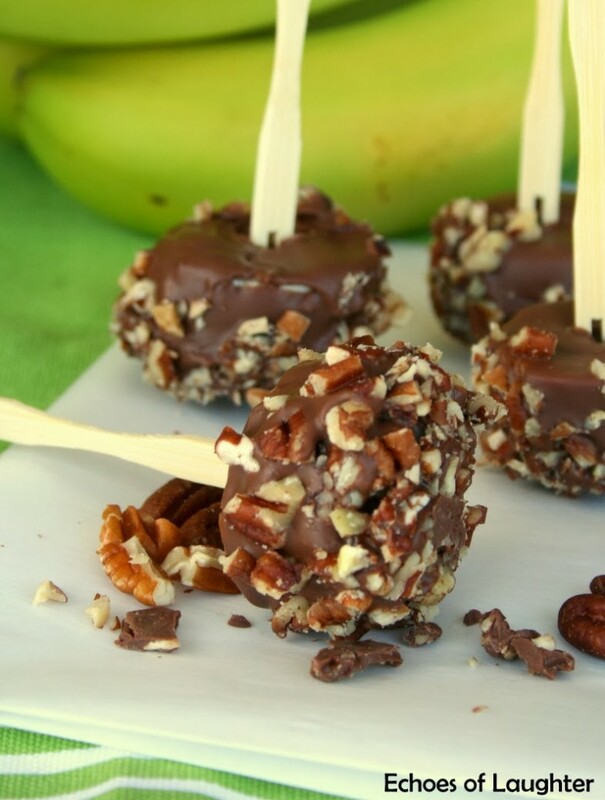 Pecans, chocolate and bananas together are just perfect! Oh my! These look amazing. Thanks for sharing your great recipe!